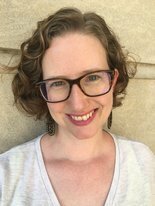 SLIS congratulates Assistant Professor Dr. Miriam Sweeney on her latest publication, “You’re So Sensitive! How LIS Professionals Define and Discuss Microaggressions Online,” which appears in the October 2018 issue of The Library Quarterly: Information, Community, Policy. You can access the article here. Sweeney and her co-author, Dr. Nicole Cooke, explore how LIS professionals define and make sense of microaggression through informal, online conversations. This research finds that LIS professionals may have gaps in knowledge about microaggressions that could be potentially addressed in LIS education and professional development. Dr. Sweeney researches intersections of race and gender in digital media, as well as critical approaches to LIS education and practice. Find out more information about Dr. Sweeney’s research and publications on her website, or follow her on Twitter @Miriam_Sweeney.